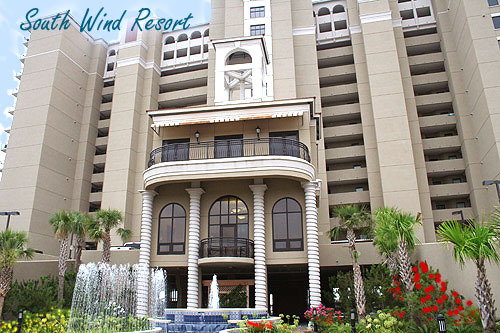 Formerly called the Southwind Villas, and officially named South Wind on the Ocean, this unique oceanfront property offers beautiful landscaping, with palms and flowers to create a tropical experience unmatched in most Myrtle Beach condos. The great location of South Winds is another draw - almost in the heart of Myrtle Beach, but far enough north to enjoy the more favored residential section. You'll be convenient to almost everything - the Convention Center, Broadway at the Beach, the Carolina Opry, Restaurant Row, and very near the Pine Lakes Golf Course, if you have golfing in your plans. 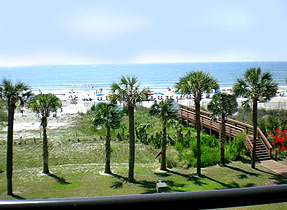 The 3-, 4- and 5- bedroom condominiums are also some of the largest available on the oceanfront in Myrtle Beach. Each unit provides upgrades like granite countertops; tile floors in the kitchen, bathrooms and entrance way, and private balconies to soak in the views of the beautiful Atlantic ocean. If you don't need the larger units, you can choose a one or two bedroom condo as well. The detail and care that was put into designing each condominium is also reflected in South Wind Resort’s exterior. Upon entering the building, residents will find a beautiful courtyard with pools and a fountain. The rest of the building’s landscaping is equally as impressive. 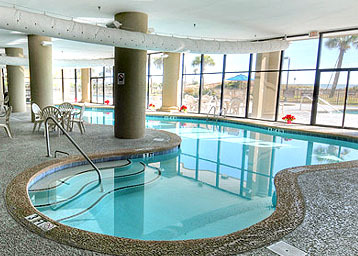 Of course they have the usual resort amenities such as indoor and outdoor pools, a lazy river, multiple jacuzzi's, an exercise center, free internet access, and even a social room that is perfect for getting acquainted with friendly neighbors. 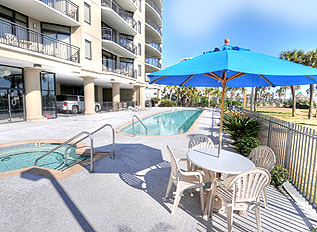 Even with all the amenities, these condos give you the feeling of a home as versus the condo-hotel image of many of the other Myrtle Beach condo resorts. Owners will find the best vacation home the Grand Strand has to offer at one of the most beautiful properties in Myrtle Beach. 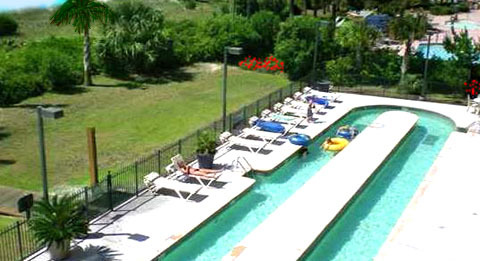 Myrtle Beach condos do not come better equipped nor situated than the South Winds and you can't go wrong with an investment at this fine luxury resort. Prices range from $400k to $700k on the 3, 4, and 5 bedroom units at Southwinds. Contact us for a tour of this beautiful resort and you may find the vacation condo you've been dreaming of!